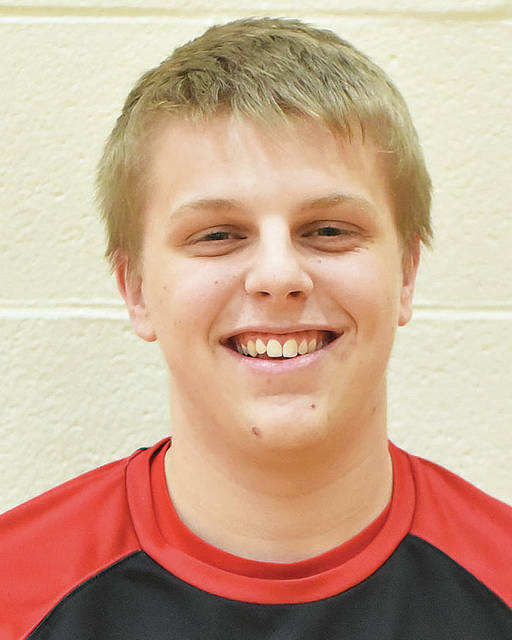 FORT LORAMIE — Fort Loramie’s boys basketball team earned its sixth consecutive victory with a 53-36 win over Houston on Tuesday in Shelby County Athletic League play. The Redskins allowed just two Houston field goals in the first half and led 27-9 at halftime. They jumped out early in the first quarter and never looked back. After taking a 9-5 after one quarter, they scored the first 11 points of the second to push their lead to 20-5. In the third, Fort Loramie came out and scored the first seven to take a commanding 34-9 lead. The Redskins pushed their lead to 43-21 going to the fourth quarter. The Wildcats trimmed the deficit in the fourth by outscoring the Redskins 16-10. Nolan Berning led Fort Loramie with 11 points while Caeleb Meyer scored 10 and Grant Albers scored eight. The Redskins shot 22 for 54 (40.7 percent) from the field. John Leist led Houston with 11 points. The Trojans pulled away from Fairlawn early in a home SCAL game on Tuesday to earn their third consecutive victory and sixth in seven games. Jacob Pleiman scored nine of his game-high 17 points in the first quarter to help Botkins take a 22-5 lead. The Trojans led 39-9 at halftime and 54-21 heading into the fourth quarter. Zane Paul added 13 points for the Trojans and Jaydon Priddy scored 12. Skyler Piper led Fairlawn with 11 points. Lehman led 11-8 after the first quarter of a road nonconference game on Tuesday, but Newton responded by taking a 19-17 halftime lead. The Cavaliers cut that lead to one after three at 25-24 and then outscored the Indians 15-7 in the final quarter to claim the win. The Cardinals had little problems with Covington in a home nonconference game on Tuesday. The Buccaneers led 8-5 at the end of the first quarter but New Bremen used a 16-4 scoring advantage in the second to take a nine-point halftime lead. The Cardinals boosted their lead to 36-24 heading into the fourth and outscored Covington 20-10 in the fourth. Patrick Wells led New Bremen with 14 points while Nolan Bornhorst added eight. Versailles rallied in the second half for home nonconference win over Franklin-Monroe on Tuesday. Versailles led 14-8 after one quarter before trailing 26-21 at halftime. But Liz Ording scored 15 second-half points and Caitlin McEldowney added 12 in the final two quarters to lead the Tigers to victory. McEldowney hit three 3-pointers in the third quarter and combined with Ording for 15 points in the quarter. Versailles outscored Franklin Monroe 19-10 in the third to take a 40-36 lead to the fourth. Ording added nine points in the fourth quarter to help cement the win. Sidney’s boys and girls bowling squads lost in a match at Greenville on Tuesday. Sidney’s boys lost to 2,340-2,216 and dropped to 9-4 overall and 6-4 in GWOC American North play. Jaxon Rickey had a 433 series and Drake Cromes had a 367 series. The girls team lost 1,729-1,687 to drop to 3-10 and 2-8. Sarah Bell had a 321 series, Avonell Martin had a 309 series and Camryn Smith had a 300 series.